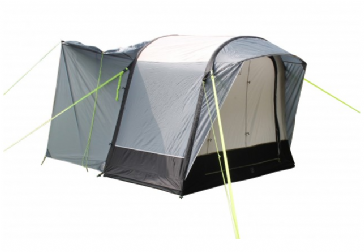 A flexible tunnel design, Wimberly has pre-angled fibreglass poles plus interior steel poles for stability, front canopy support and tent fabric tension. 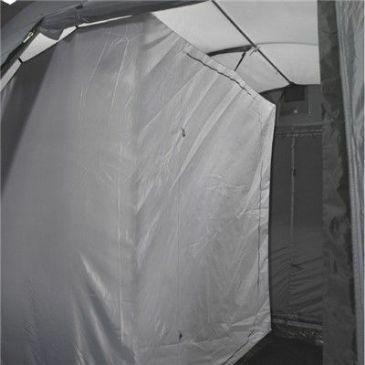 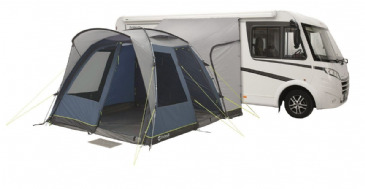 With standing headroom, five curtained windows, rear double and a front door, large air vents plus a full-size toggle-up groundsheet, it's a very practical awning. 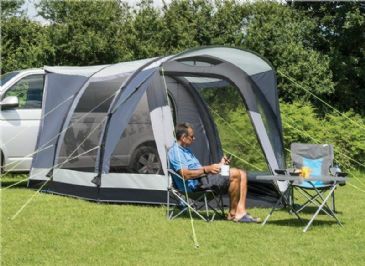 A flexible tunnel design, Wimberly has pre-angled fibreglass poles plus interior steel poles for stability, front canopy support and tent fabric tension. 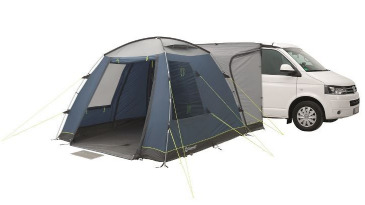 With standing headroom, five curtained windows, rear double and a front door, large air vents plus a full-size toggle-up groundsheet, it's a very practical awning. 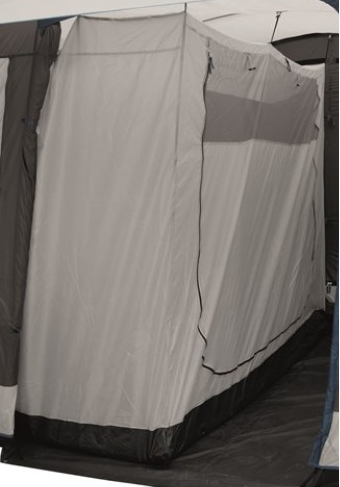 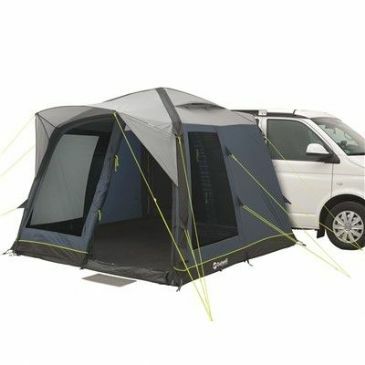 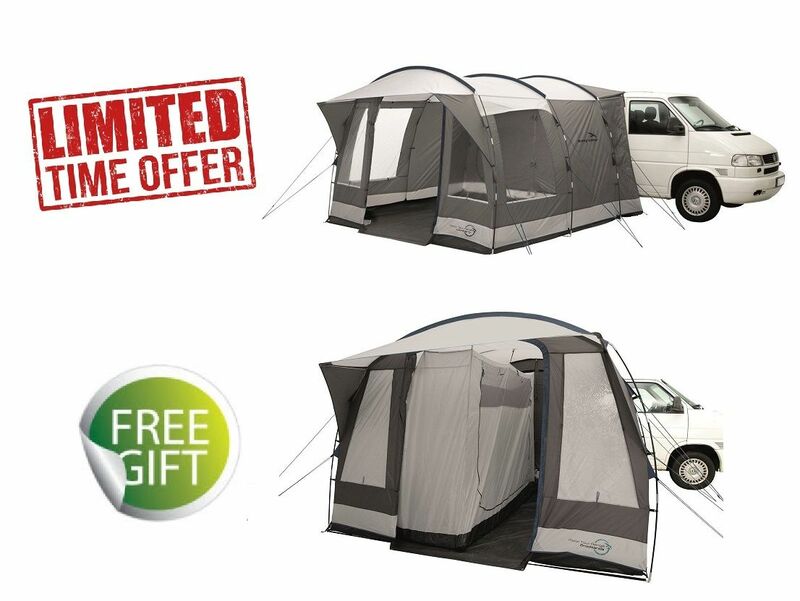 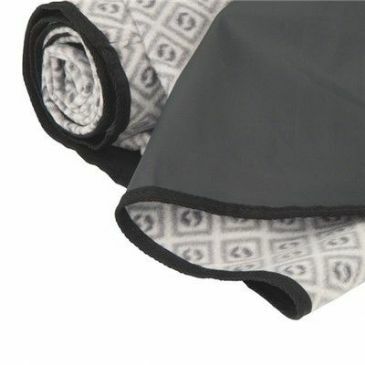 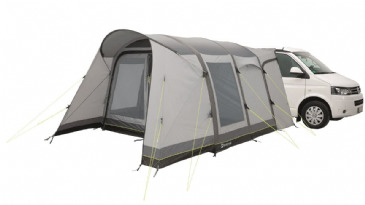 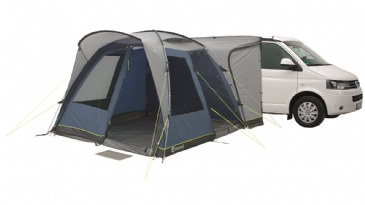 Optional extras include a two person inner tent which can be attached on either side of the tent. 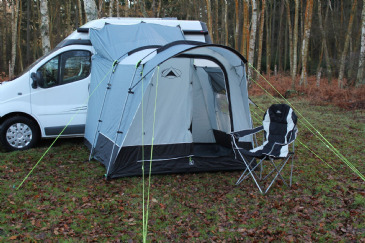 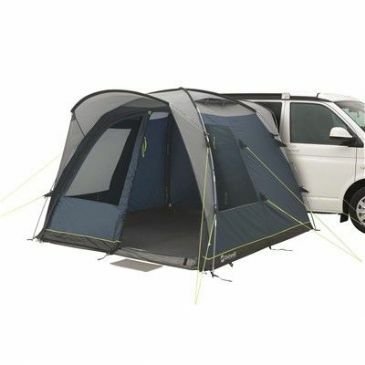 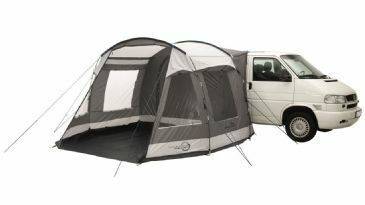 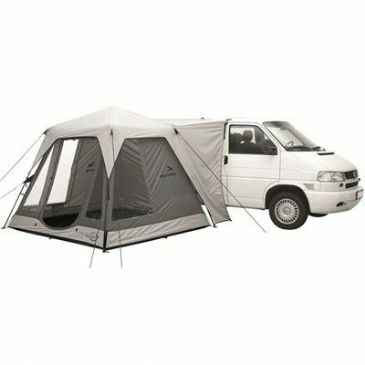 Fits campers/vans with an attaching height of 170 to 210 cm. 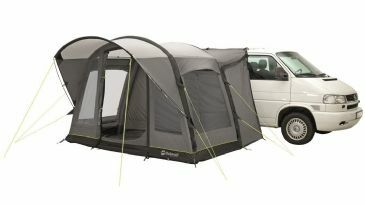 Easy-to-attach to campervan and MPV. 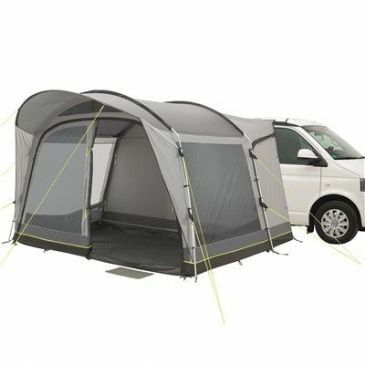 Drive-away awning with standing height.